Rupi Kaur's "Milk and Honey" is a collection of poetry that will surely bring you in. A scarlet menstrual blotch stained the sweatpants of Rupi Kaur on an image Instagram removed twice. This sparked the controversy that drew the followers of Kaur to her work. Rupi Kaur’s “Milk and Honey” is an intimate collection of poems broken into four chapters of life; hurting, loving, breaking and healing. Each section dives into the raw emotions and everyday experiences of Kaur. The author is based out of Toronto, Canada. She specializes in the spoken word and is best known for the traction her art gains through social media. She uses her experiences of sexual assault, womanhood, family and relationships as inspiration for her work. The poems are often short but immense with meaning, and her black and white illustrations accompany many of the pages. Her words preach self-love and acceptance, while illuminating the lust of femininity. 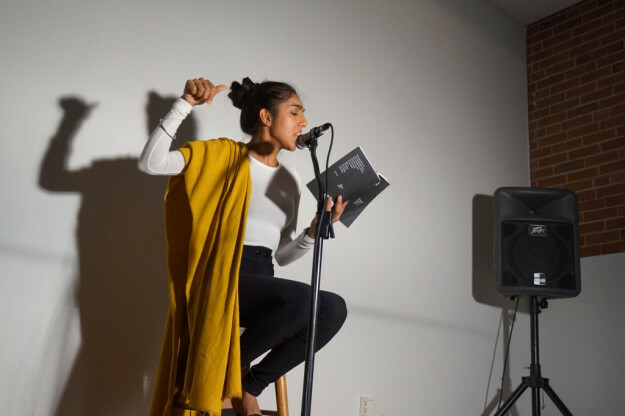 Rupi Kaur’s witty and unapologetic writing contributes to the success of “Milk and Honey”.